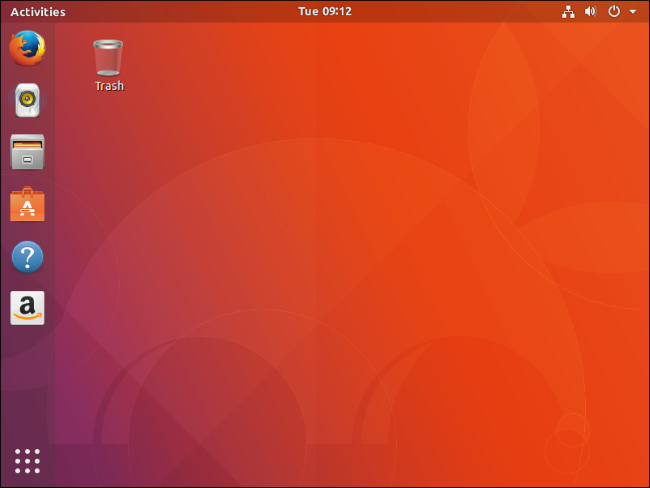 After quite a few unexciting releases, Ubuntu 17.10 “Artful Aardvark” is full of huge changes. Ubuntu Phone is dead, and so is Ubuntu’s dream of a converged desktop. 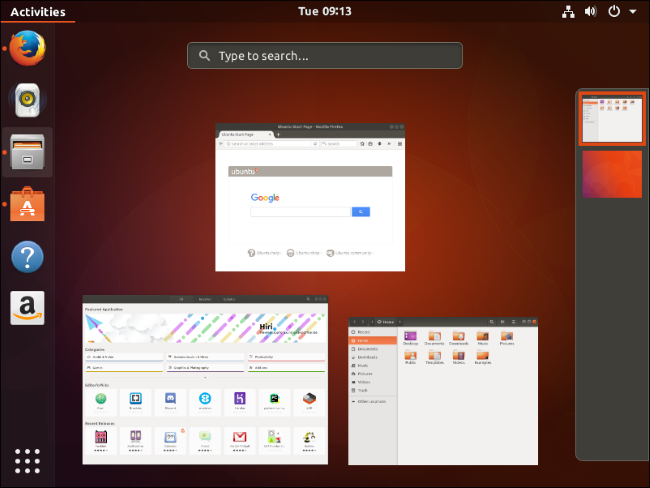 Ubuntu’s developers are no longer working on Unity 8, and Ubuntu 17.10 ditches the old Unity 7 desktop for GNOME Shell. It’s impossible to understand why Ubuntu is so different now without looking at what happened with Ubuntu Phone. On April 5, Ubuntu and Canonical founder Mark Shuttleworth wrote that Ubuntu would stop investing time into Ubuntu Phone, the vision of convergence, and the new Unity 8 desktop that was supposed to replace the existing Unity 7 desktop in the future. Instead, Ubuntu would invest more in the cloud and Internet of Things markets, where it’s a successful platform many companies build on. This is a huge deal. For many releases, the existing Unity 7 desktop has been largely left alone. Instead, the developers spent a lot of time polishing up the Unity 8 desktop, which was designed to run on desktop PCs, phones, TVs, and everything in between. Ubuntu created its own Mir display server to replace the existing Xorg server, and a lot of work was done on that, too. Ubuntu developers also spent a lot of time on Ubuntu Phone. But Unity 8 and Mir never arrived in stable form on the desktop, and I personally found them very unstable and unpolished on the BQ Aquaris M10 Ubuntu tablet. All that work has now been abandoned. 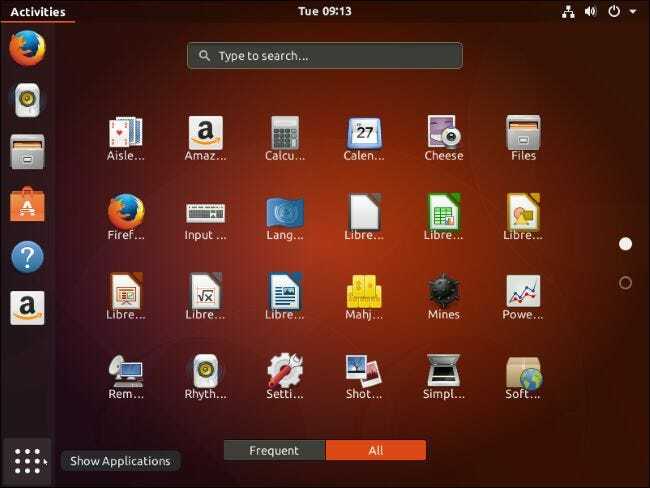 Instead of pursuing a vision of convergence, Mark Shuttleworth announced that Canonical would shift back to the GNOME desktop and include that with the Ubuntu 18.04 LTS release. The current 17.10 is the last stable release before the 18.04 long-term-support release, so Ubuntu is making the shift now so the new desktop environment can be stabilized, tested, and polished. Basically, instead of trying to go its own way and develop its own desktop, display server, and platform, Ubuntu is re-embracing its roots as a Linux distribution and using the desktop software developed along with the larger Linux community. The first releases of Ubuntu used GNOME before Unity was developed, and Ubuntu is now using GNOME once again. These changes aren’t necessarily bad. While Ubuntu fans who were looking forward to Ubuntu phones and a converged desktop surely aren’t thrilled, many people are happy to see Ubuntu refocusing on providing a stable desktop and working with the larger Linux community. Ubuntu desktop users should get a more polished desktop that improves faster. Of course, it stings if you believed in the Ubuntu phone dream. When you boot up Ubuntu 17.10, you’ll find that everything looks rather different, including the login screen. 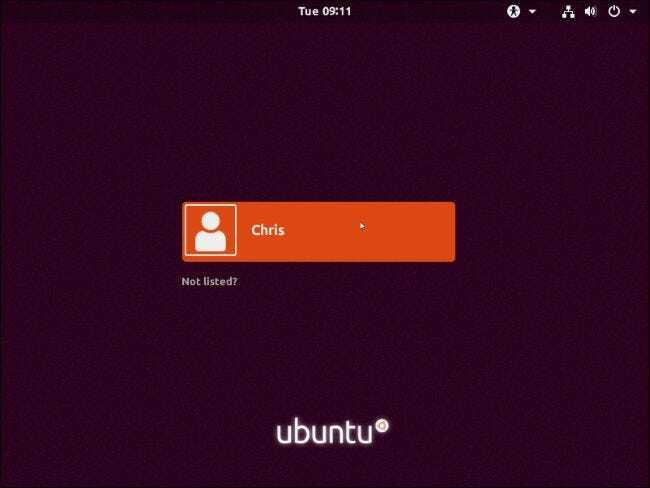 That login screen looks different because Ubuntu switched display managers from LightDM to GNOME’s GDM. The old Unity 7 desktop has been replaced with GNOME Shell, which works a bit differently. However, Ubuntu has themed the GNOME desktop to match previous versions of Ubuntu. They’ve also configured it more similarly to Unity, with an always-on-screen application dock at the left side of the screen. 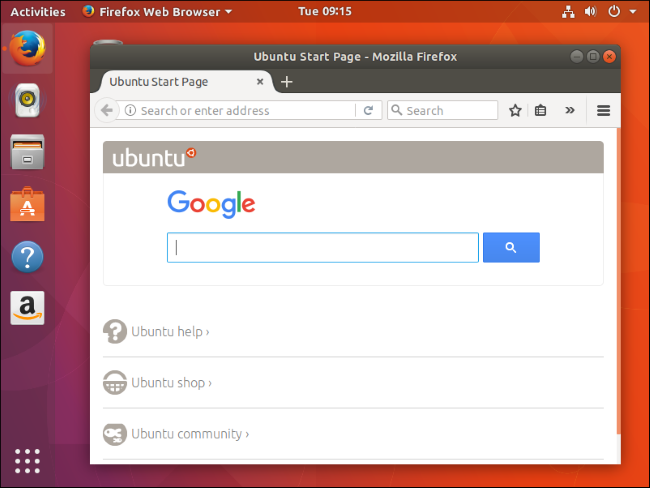 In another big change, Ubuntu has moved its window management buttons back to the right side of each window titlebar from their position on the left side. Ubuntu had big ideas when it moved those buttons back in 2010, but they didn’t really pan out. There’s an “Activities” button at the top of the dock that allows you to view and search your open windows. Workspaces are available at the right side of this screen. You can click the button at the bottom of that dock to view a list of applications on your system and search through them, just as you could with Unity. While everything looks rather different, things should also be pretty familiar. Ubuntu has previously used a lot of GNOME applications, including the Nautilus file manager. Many of Ubuntu’s applications were created for GNOME and are still here, right at home on a GNOME desktop. Ubuntu switched from its homegrown Ubuntu Software Center to GNOME Software in Ubuntu 16.04, so GNOME Software is there as well. Ubuntu still includes Firefox, LibreOffice, Ryhthmbox, Shotwell, and Thunderbird. The desktop Settings window looks different, but it should still be easy to use and figure out, too. Ubuntu has also left Xorg behind, but has replaced it with the Wayland display server instead of its homegrown Mir display server. Wayland is used automatically on systems where it’s supported. Wayland is a modern replacement for Xorg developed by the Linux community as a whole, and will be used on a variety of Linux distributions—not just Ubuntu. If you do need the Xorg display server for compatibility with certain software or hardware, it’s still there. Just click the cog on the login screen and select “Ubuntu on Xorg” before signing in. Ubuntu previously offered both 32-bit and 64-bit installation images. With the 17.10 release, Ubuntu only offers 64-bit ISOs you can download. Users of 32-bit CPUs aren’t cut off yet, though. Ubuntu will still provide 32-bit software. If you have a 32-bit version of Ubuntu installed, you can still upgrade to a 32-bit version of Ubuntu 17.10. Ubuntu spinoffs like Xubuntu and Ubuntu MATE can continue to offer 32-bit installation images. But Ubuntu no longer offers a 32-bit version of the main Ubuntu desktop product for easy installation. Ubuntu 17.10 includes many smaller changes, too. As usual, many software packages have been updated. Ubuntu 17.10 includes the Linux kernel 4.13, GNOME 3.26, LibreOffice 5.4, Python 3.6. Driverless printing support has been added for many devices, which should make printing easier on more hardware. Python 2 has been removed. The Ubuntu GNOME flavor is discontinued, as the main desktop now uses GNOME. GNOME’s Caribou on-screen keyboard replaces Ubuntu’s Onboard on-screen keyboard as well. You can view the full list of changes in the Artful Aardvark release notes.